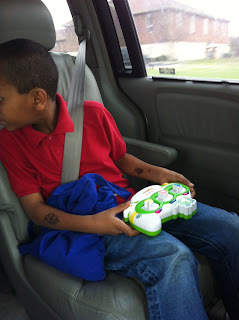 Have you caught your kids learning lately? Isn't it the best when they don't even realize it's happening? 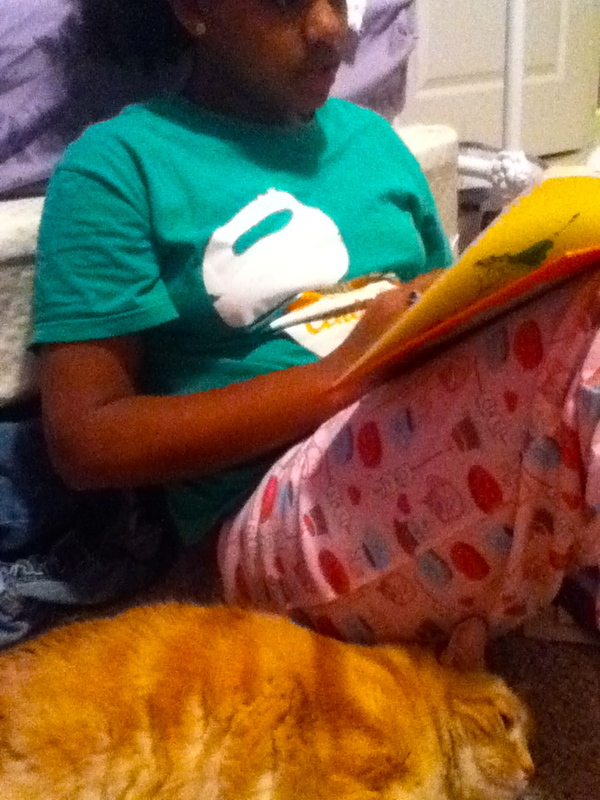 In our house, literacy learning is pretty laid back. I try to provide opportunity, encouragement, and example and then let my kids pick it up from there. 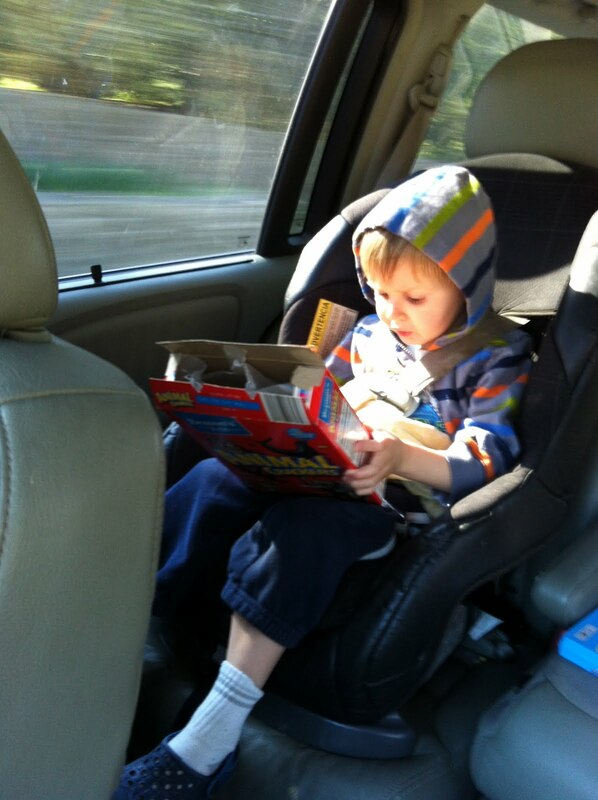 We bring books and learning toys along in the car sometimes. Like our Word Whammer and Fridge Phonics! We find fun ideas online like doing a library scavenger hunt. The kids really loved this, and did awesome with it. I was really impressed to see my shy, eleven year old do this pretty much all on her own, even asking the librarians for help (without me having to go with her) when she needed it! It helped us all learn some things about our library that we didn't know! And we stopped for some cold drinks on the way home as a reward for all our hard scavenging. We have a variety of books and things around the house that the kids can pick up at any time and play with. This one is a book that has magnetic pages and letter magnets to spell words with. We do bedtime stories every night. With all our kids. Mommy and Daddy take turns doing the reading. My boys have been digging books like the Franny K Stein series and the Lunch Lady series at bedtime. My older one is still learning to read (ELL), but he often takes a flash light to bed so he can glance further ahead in our stories. The graphic novels are especially good for this. He also really loves his Action Bible. We remember things from books like, "Hey, this is a waterspout, just like the one the Itsy Bitsy Spider crawled up!" 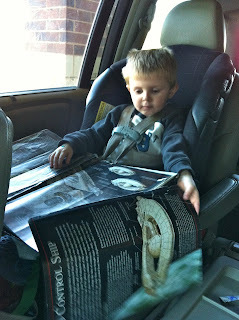 Sometimes we can't wait till we get home to dig into our library finds! We do word finds on the back of our animal cracker boxes. We re-read our favorite books over and over and over again. (Even when Christmas has long since passed.) Isaac especially likes this book because he can "read" it all by himself. Another one he likes to "read" himself is One Boy. Isaac likes to do his "reading homework" with his Leapfrog Tag pen. I've been trying to get my big kids on board with it too (because it would be great practice for them too as they learn to read), but they don't enjoy it as much. Storybook apps are always a hit. The Monster At the End of This Book is probably the current favorite. We read books at the kitchen table a lot... Even though it's a dangerous thing to do with a library book. Sometimes my kids get a bedtime story read to them, and sometimes they wait till the end of the day to practice their reading and so they have to do the bedtime reading. Having the cat snuggle up and listen too always makes it extra fun! We go to special reading events like celebrating Dr. Seuss' birthday at the library! Sometimes I find surprises by the bookshelves... like my kids and their friends curled up with books. This truly did happen. The girls were searching my shelves for AR books for school, and my son joined them. I also catch my kids in spontaneous acts of writing sometimes. On this particular day (earlier this week) my son felt compelled to sit down and write a card to Santa about his "bad" cat. So there's our randomness. 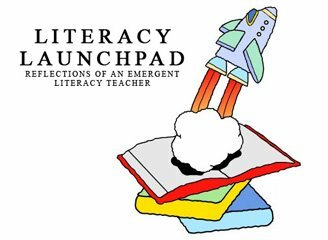 Hope it can maybe help inspire some literacy randomness at your house too! 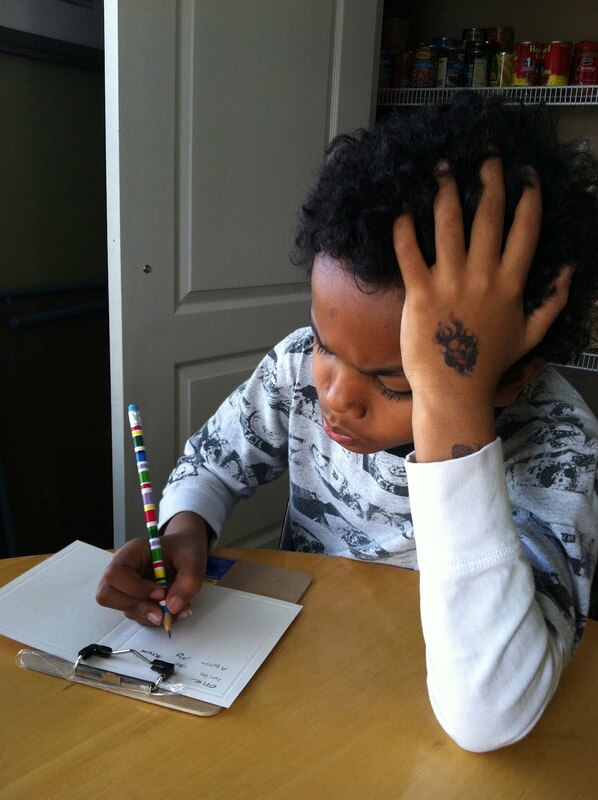 What are some literacy activities you catch your kids doing? *Today was a Literacy Launchpad rewind of one of my favorites!